August 7, 2015 /Photography News/ Some of the most breathtaking views in the Universe are created by nebulae — hot, glowing clouds of gas. The NASA/ESA Hubble Space Telescope has captured a stunning new image of the Lagoon Nebula, one of the finest and brightest star-forming regions known our Milky Way Galaxy. 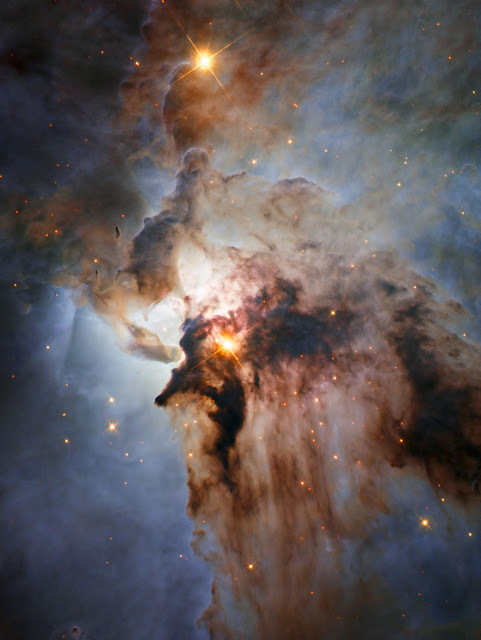 The Lagoon Nebula, also known as Messier 8 or M8, lies approximately 5,000 light-years away from Earth, in the direction of the constellation Sagittarius. The object is about 30 light-years across. The region is filled with intense winds from hot stars, churning funnels of gas, and energetic star formation, all embedded within an intricate haze of gas and pitch-dark dust. This image combines images taken using optical and infrared light gathered by Hubble’s Wide Field Planetary Camera 2.